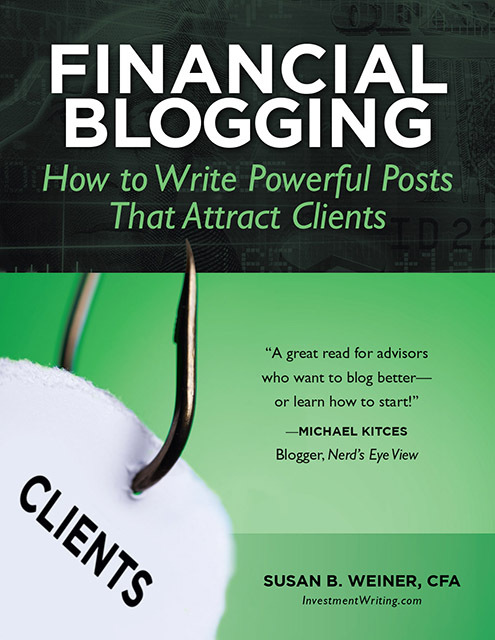 Public relations can be a powerful tool for financial advisors. In “How to Get PR Without Hiring an Agency,” Mike Byrnes shared many tips tailored to advisors in his presentation to the Financial Planning Association of Massachusetts on Feb. 27, 2013. I share some of his tips below, with an emphasis on the lesser-known tips. You know how you make a deeper connection when you meet someone face to face? You can achieve a similar connection with tech-savvy reporters who use Skype video, FaceTime, or Google+ Hangouts to communicate using video in addition to audio. Google+ Hangouts have an added advantage. You can offer a video recording of your call to the reporter. These days even traditional print publications are hungry for video to display on their websites. However, don’t try to force these technologies on reporters who don’t use them. You’ll just annoy them. You need content to feed your PR effort. If you’re on a tight budget, but need help generating content, hire an intern who’s a journalist so she or he writes well. The intern’s lack of industry knowledge can be a plus. How’s that? You’ll need to explain things in simple, nonfactual terms. This is the language your clients and prospects will respond to. Just make sure you allow plenty of time to educate your intern. He or she will have a steep learning curve. If you publish an article on an outside website, be sure to provide a hyperlink to your website. This makes it easy for readers to find you. In an interesting twist on this strategy, Byrnes also suggested commenting online (with an appropriate link) on articles or blogs that your target audience reads. This could introduce you to people who read those comments. You will be misquoted or misinterpreted at some point in your PR experience. It won’t be malicious. It may be something you can avoid by taking an extra step. The extra step is to email the reporter with key points after your conversation. If the reporter shares questions prior to your call, you can prepare and send your key points in advance. A note from my personal experience as a reporter: Don’t expect reporters to send you articles for your approval prior to publication. They may let you check the accuracy of your quotes before they submit the finished story. However, the more demands you make, the less attractive you’ll be as an interviewee. It’s much easier to interact with reporters on social media than by traditional means. If you retweet and make positive comments on their articles, you’re helping them look good on the job. If you’ve tried these techniques, I’d like to hear from you about your experiences. Super ideas! I especially like the one about hiring an intern who’s a journalist. Also, linking your articles to your website will help to improve your website’s search engine rankings. PS Just tweeted this out at @byrnesconsultin using the #FPAofMA hashtag. Thank you, Krista and Mike! Krista, that’s a good point about website SEO. Mike, it’s always gratifying when a speaker is happy with what I write. Thanks also for sharing this piece on Twitter. Andrea, thank you for taking the time to comment and spread the word on social media! Poll: Should you go ziplining on LinkedIn? 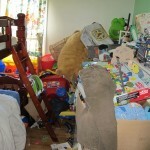 Bust the clutter in your writing!